An intelligent, creative, studious, and witty friend we made at our Harry Potter party. It’s almost time for the Furry 5K! Our favorite Seattle dog event of the year happens Sunday, June 12 at Seward Park. It’s a great place to dog watch — and people watch. Yes, there’s the 5K race, which you can walk if that’s more your competitive speed. But the Pet-a-Palooza pet expo is an all-morning event with live entertainment and lots of fun stuff to see and do. That’s where you’ll find your friends from Sniff Seattle. We always have a little party going on at our tent; fun and games and great prizes! So, stop by. We’d love to spend some time with you and your dog. The Furry 5K Is Sunday! It’s one of our favorite events of the year! We hope to see all of our friends in the Seattle-Bellevue area this Sunday (6/9) at Seward Park for the 14th Annual Furry 5K. We have LOTS of stuff planned. 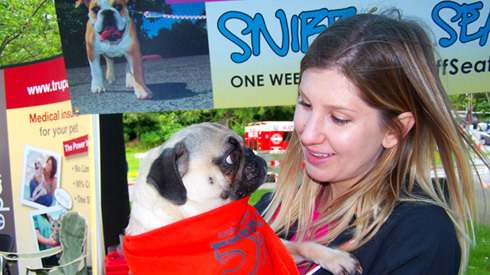 So come by the Sniff Seattle tent near the finish line at the pet expo. You could win Kindle Fire! How fun is that? 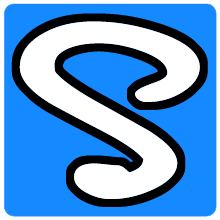 See everything you need to know about Sniff Seattle’s Kindle Fire Contest HERE. The pet expo begins before the fun run and walk at 8:15 am. Race time is 10:00 am. And things wrap up around 1:00 pm. And it’s all to benefit the Seattle Animal Shelter’s Help the Animals Fund. It’s a great cause and a great time. See you Sunday! Two characters we met at the recent Bark at Marymoor Park, hosted by Pasado’s Safe Haven. Check out the whole photo album from the day HERE! People and pups enjoyed a great day at Pasado’s Bark at Marymoor Park. Check out our photo album from the day HERE! Photo from Pasado’s Bark at Marymoor Park held last Sunday. More of these on the way in the coming days.